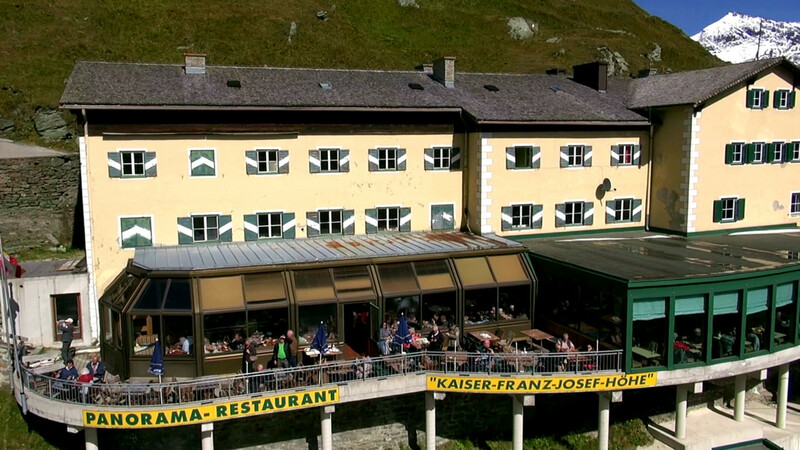 The panorama restaurant seats up to 250 and has a sun terrace. 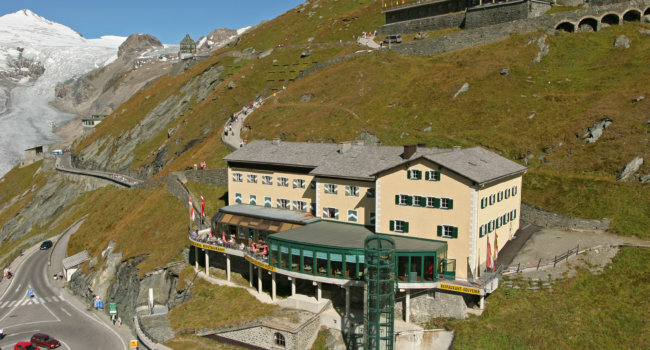 It stands centrally above the bus parks and guests arrive at the restaurant by a modern, efficient lift. 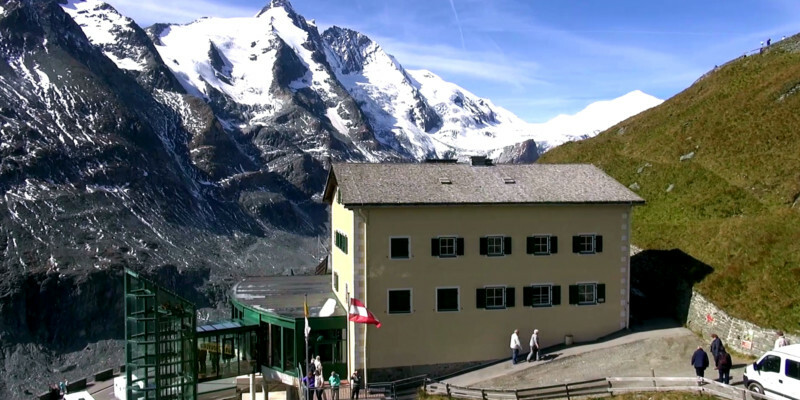 Here, above the traffic, you can enjoy wonderful Glockner views in peace, as well as the hospitality, food and drink on offer. 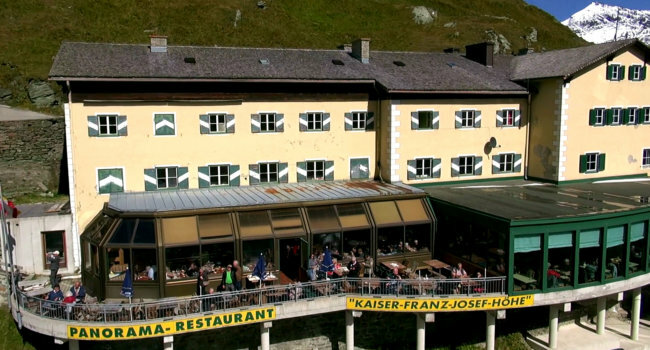 The restaurant has specialised in tour groups of any size. It is possible, and indeed recommended, to reserve seats in advance. 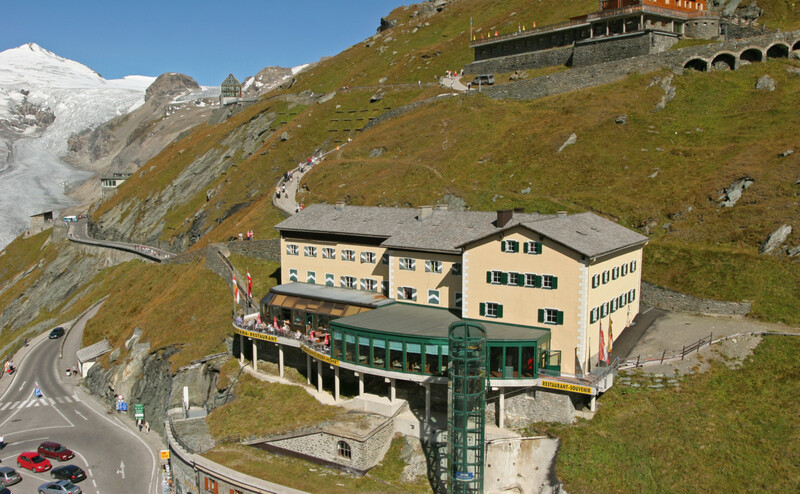 The various bus parks are conveniently linked by a regular shuttle service stopping right in front of the panorama lift to the restaurant.